Visit the "Little Shop in the Swamp"! 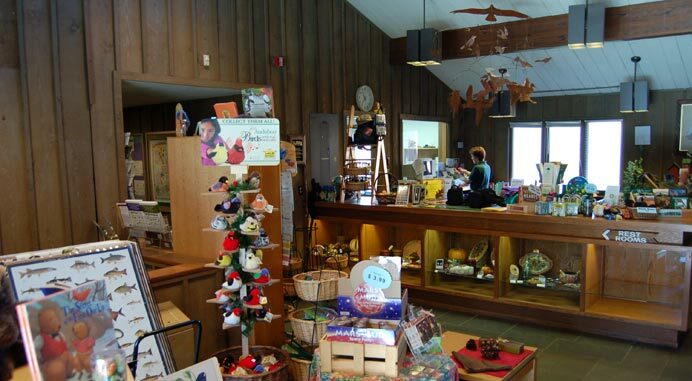 A favorite stop for those looking for that special gift for a favorite outdoors friend, baby and children gifts, a special piece of jewelry or pottery, or maybe just a great book to add to one's own personal book collection. A variety of "must have's" for all ages are located in the main floor lobby gift shop. The selection changes on an on-going basis and many pieces are limited in number. Best to visit regularly or with specific requests, call 908 722-1200 ext. 5322. The Center houses a comfortable, user-friendly resource library. A large number of books and a variety of periodicals regarding the many facets of our environment are available during regular building hours. A wide range of children's environmental books and magazines are also available. The library has tables and chairs for on-site research and reading. Because it is a resource library, not a lending library, all materials must remain on-site. Free Wifi is available.